Dealing with negative reviews on Amazon is annoying for sellers but it is something that is inevitable. When you’re selling products, you are bound to come across a few disgruntled customers and it is how you deal with their dissatisfaction that counts. When you get a negative review on Amazon, it will influence the overall rating of your products featured on Amazon. Irrespective of how many good ratings your products have acquired, most customers are only looking for negative reviews to get an understanding about potential problems they may face or experience with the product. It’s rare that Amazon ends up deleting negative reviews on the request of the seller but it’s important that all sellers track reviews and report any fake, funny, or spam ones on Amazon. In this blog post, we are going to share some of the options available to sellers for removing bad reviews on Amazon and the approach they should adopt in doing so. All online retailers must deal with the prospect of facing negative product reviews daily but how these reviews affect your business is based on the way you respond or deal with them. The relationship between the retailer and customer is one of the most important aspects of your business. This is why whenever you come across negative reviews on Amazon, you must deal with them instantly. What Counts as a Negative Review on Amazon? Any review that gets less than three stars or less on Amazon can be considered as a negative review. Users on Amazon generally consider ratings above 3 stars to be positive and it leaves a good impression on potential buyers. A negative review on Amazon will affect the ranking of the product and may damage sales. This is why tracking negative reviews are vital for sellers to conduct business. This is where an Amazon reviews tracking tool may benefit you since it does all the hard work for you. How Do You Avoid Negative Reviews? The first step towards avoiding a negative review is having a great product since you won’t manage to sell a product long-term if it’s not high quality. Therefore, you must ensure that your product goes through all the relevant quality control checks or brace yourself for an avalanche of negative reviews. It’s considered better to have a thin margin on a high-quality product instead of a high margin on a low-quality product. This way you’ll know that you have a quality product that will acquire good reviews on Amazon for years. For instance, we list a product on Amazon with a thin margin, with thousands of reviews, and not a single negative review but we’ll pay more for a product that comes from a quality supplier, simply because it’s a premium quality product. The most important thing you should be aware of reviews on Amazon is the position they are placed on your Amazon page. Ensure that the complaint is about your product and not the service. For example, a review might say “it took 2 weeks for the product to get to me”. That’s a fault by Amazon and they will remove such negative reviews from your account. If it’s a genuine negative review related to your product, there’s not much you can do since it won’t be removed by Amazon. However, you can ensure it’s not very visible on your page. The first thing you should do when someone has a problem with your product is to refund them, as you don’t want to risk getting them more upset. If they submit an email to you complaining about the product, you should write back saying that “we’re willing to offer you a full refund and you can keep the product”. When you do that you’re practicing good customer service. Even though you may end up losing money on the product, you will at least not have a disgruntled customer leaving a negative review on your Amazon page. It’s considered a good policy to deal with negative reviews immediately but you should also have knowledge about the rules set by Amazon. When it comes to biased reviews, Amazon has an incredibly strict policy. It all started in 2016 when compensating reviews with discounts or free products became a trend. Amazon acted by changing its terms to prevent that from ever happening again. This meant there was a ban on incentivized reviews. You’re prohibited from asking consumers to change their bad reviews in exchange for discounts or extra gifts. The rules apply to engaging with your customers. If you come across a negative review on your page, you can’t act in a manner that could be construed as a threat to a customer to change their review. If you intimidate or incentivize reviews on Amazon, you risk getting permanently banned or getting your Seller Account suspended. Amazon takes customer experience very seriously since it wants to offer the best online shopping experience to customers. So, if you do anything to disrupt the customer experience, you risk getting a penalty. It’s permitted to ask customers to leave reviews or contact customers that have left negative reviews. What isn’t allowed is spamming customers and if your account is reported it will be closed. It’s understandable that you experience a lot of negative emotions when you come across any kind of criticism for your products or services. However, you shouldn’t ever respond negatively to customers. You should focus on communicating effectively and address the concerns of your customers, instead of attacking them. We will discuss this in greater detail later in this piece. You may think to yourself if your product reviews really matter in the grand scheme of things. Most buyers don’t even bother leaving reviews in the first place. However, reviews matter a lot for Amazon, since it places great value on the buyer experience. They don’t want to associate with bad sellers that will bring a bad name to their brand. People will always do business with websites they fully trust, in any industry. And product and seller reviews are one of the most important ways that Amazon builds trust on their website. There is a whole page that is dedicated by Amazon to help sellers improve their product reviews, and Amazon is quick to remind that “customers will always check reviews when deciding to purchase something from a seller”. Picture this; you’re shopping on Amazon for a high-end item. The product isn’t sold by Amazon so you must choose between two third-party business that quotes the same price and offer same-day shipping. Who are you most likely to choose? The obvious choice would be going with the seller that has 100% positive reviews. You’ll be thinking why the other seller has acquired so many negative reviews. Is it because it’s a scam, makes late deliveries or sells counterfeits? Once you start questioning, you’ll start thinking about buying from somewhere else. The most important thing to keep in mind when dealing with bad reviews is to have a good review management platform so you can collect data on the reviews. In this way, you will get an alert whenever someone leaves a negative review on your page. You can then figure out what the problem is and which customer has left a negative review. You can get Amazon to remove the review if it isn’t genuine. There have been instances where sellers have posted false negative reviews to target their competition so that their products are pushed down on the listings. If you think you have been targeted, you can have the reviewer and the review reported to Amazon with a clear message on why the review should be deleted. Amazon will only act when there is clear evidence that the review has been posted fraudulently. The other option that has been highlighted above is more likely to work but you’ll need to follow the rules established by Amazon. It has been clearly stated by Amazon on when you can and can’t contact buyers. You should remember that you can’t incentivize anyone to remove a review. However, if you’re courteous, open, and helpful to the reviewer, there’s a chance that they will amend or remove their review by themselves. Many customers only post negative product reviews so that the seller can resolve their problem. 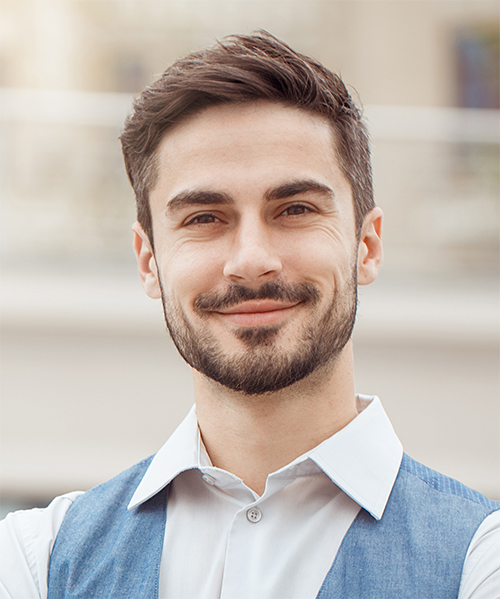 In most cases, when customers receive a satisfactory and speedy response from the seller, they will amend or remove their negative review by themselves. All buyers must follow the rules set in place by Amazon when they leave a review. Amazon knows that there are instances where angry buyers will leave bad reviews for sellers due to a misunderstanding. 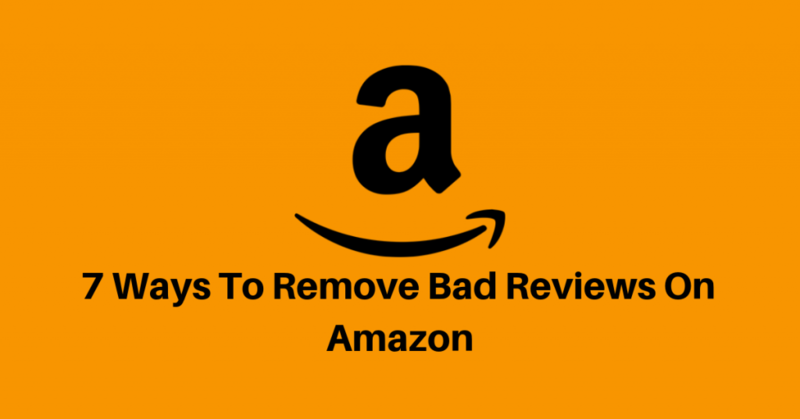 For this reason, Amazon has created a list of situations where they will remove buyer reviews. When the bad review is removed from your page, its impact will also be removed from your overall review ratings. If you think that you are faced with any of the above-mentioned situations, you should submit an Amazon feedback removal request. You’ll need to copy the Order Number of the bad review. This can be found on the Feedback Manager page. Amazon will show you a list of things they can help with for the order, and you must select “Customer Feedback Removal Request”. When you press next, you will be shown the bad review. Once you have confirmed it, you will be asked to select reasons for removal. Most of the times your request will be resolved immediately and at other times, it may take some time before an agent reviews your request. There are instances where Amazon won’t remove the bad review from your account but will strike-through it instead. The original review will be struck-through and there will be a ‘Message from Amazon’ with further information. The strike-through has a similar impact on your overall product review rating, and the only difference is that buyers can still see the rating and the comments. The whole comment is related to service and fulfillment for an order fulfilled by Amazon. The whole comment is about an undelivered or delayed order which you had shipped on time using Buy Shipping services. The customer received a dented box when you had sent a brand-new boxed item. In this instance, Amazon will take responsibility for damage related to fulfillment. You sent red coffee mugs to Amazon and the customers received white ones. The responsibility here will be taken by Amazon as they picked the wrong item. The Merchant Fulfilled strike-through has been offered by Amazon from May 2018. It’s one reason why you should always buy shipping with Amazon’s Buy Shipping service. Acquiring a strike-through on your review is done in the same manner as getting your feedback removed. When you submit the request, Amazon will decide whether the feedback should only receive a strike-through or should be completely removed. Both outcomes are great for the health of your account, so you shouldn’t be disappointed if you manage to get a strike-through rather than a removal. The perfect situation for you would be to get a removal or a strike-through from Amazon but there are instances when the bad review doesn’t meet the criteria set by Amazon for feedback removal. So, if you think that the bad review is unwarranted, you should directly get in touch with the buyer. It is even encouraged by Amazon to resolve the concerns of the buyer before you contact them about removing a review. The way you choose to deal with the problem is up to you. Apologizing is always a good start and you can also think about giving a refund. However, you should remember, Amazon clearly mentioned in their policy that incentivizing or pressuring a buyer to amend or remove a bad review is strictly against their policy. If you’re unable to reach out to your buyer or they decide not to remove or amend their review, you still have another option. This method will not impact your overall review ratings like strike-throughs and removals. This isn’t always the best way to deal with a customer’s problem since that should be done privately through email. However, you should take this as a chance to turn a bad review into a good one. You’re not going to change the mind of the customer here but you can make your business appear professional with a public reply. Don’t reply if you’re upset or irritated at the customer since your response should be professional, brief, and courteous. Once your response has been submitted, you can’t delete it which is why you shouldn’t rush with your response. Take your time to write a polite reply that makes you look professional. If you’re at this stage of removing your bad review on Amazon, it means that you’re stuck with that negative review for good. So, what is the best way to improve your overall rating at this stage? The answer is simple, you get more feedback! You don’t need to worry about getting more feedback since it will happen naturally as you start selling more products. There are going to be weeks where you won’t get any reviews and then suddenly you will get multiple responses at once. If you’re impatient to get more reviews then you can always contact customers with a request to provide a product review. Amazon allows sellers to send buyers at least one request for a review, once their package has been delivered. There are also chances that your email may trigger an unhappy buyer to send you a bad review on your product. However, that is a chance that you must be willing to take to acquire more positive feedback on your Amazon page. In our experiences, there is no such thing as a ‘Bad’ review on Amazon. Even the worst reviews on your Amazon page have something good in them. The first thing on your mind when you get a bad review on Amazon shouldn’t be to get it removed. Take these reviews as a barometer for gauging your progress in your industry, and how you compare with other sellers. There are instances where customers will still buy a product after reading all its bad reviews since they want to experience for themselves what the product is like. After all this discussion about removing bad reviews on Amazon, we hope that you start looking at them in another light.